Oxford Bright Spokes Reflectors are genuine 3M Scotchlite reflectors. Fit Oxford Bright Reflectors to your spokes and your wheels will light up when shone upon. The 7cm-long Oxford Bright Spoke Reflector simply clips onto a wheel spoke. Once attached, the reflector stays in place - it doesn't move or rattle. Each reflector weighs just one gram so you're barely aware of them on your wheels - till they're shone upon by a light source. Because the reflector wraps pretty much round the whole spoke, it will light up when shone upon from any angle. The reflector fits the most common spoke sizes: 1.8-2mm diameter. 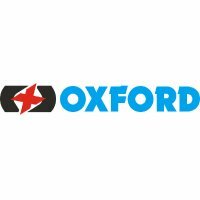 Fit and forget - a set of Oxford Bright Reflectors can be fitted to your wheels in a minute, and they'll stay in place - probably for the life of the wheel.